You all know that I made over my kitchen two years ago and it’s still my favorite room in the house. If you missed my kitchen reveal post, then head over and check it out. But, today, Suzannah and I are talking about How to Design and Makeover Kitchens. It’s a much more in-depth talk about functionality vs. style and how kitchen updates can be broken down with regards to form and price. Whether you are ready to start a kitchen renovation, want to do a small update in your kitchen, just want a change but aren’t sure where to start, need budget information, or want to be inspired by lots of other kitchen renovations… we have all the goods in this episode. Need help with budgeting for your kitchen remodel? Here’s a resource you can use to remodel a kitchen. Want to see more inspiration and budget breakdowns? 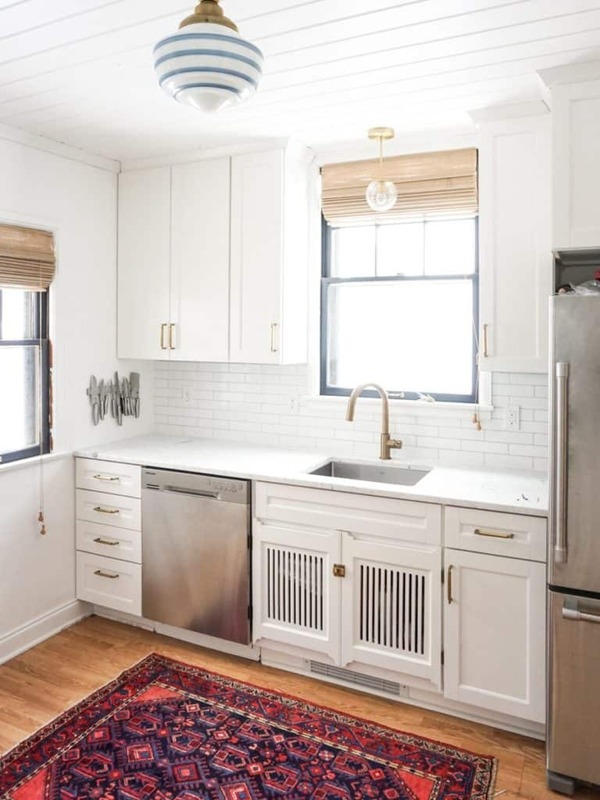 We love Anna’s full kitchen reno with her her follow-up on how to remodel a kitchen. Other great kitchen renovations or updates include: Francois Et Moi, Chris Loves Julia, The Sweetest Digs and Southern Hospitality. And, if you haven’t seen our kitchen reveals and breakdowns, make sure to check them out! 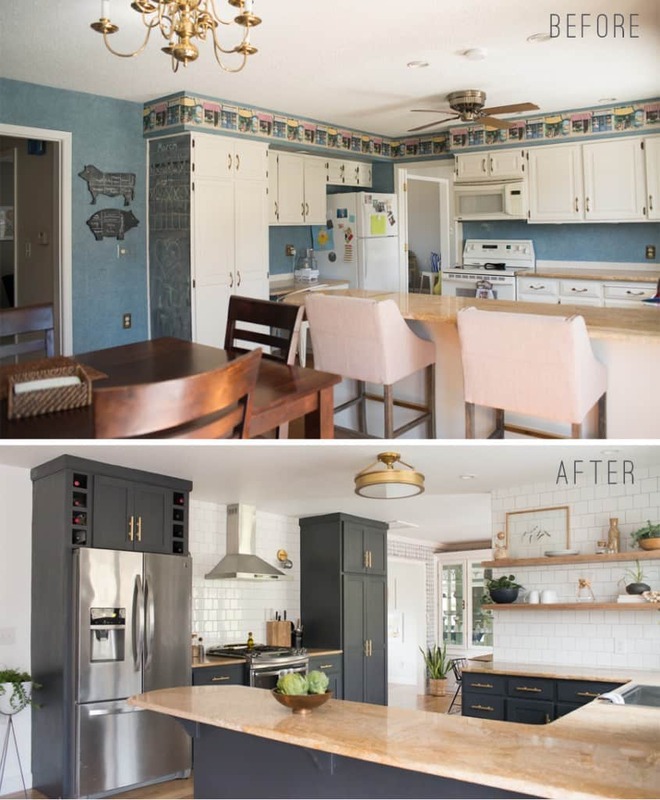 See my Before and After Kitchen Reveal and Suzannah’s Before and After Kitchen Reveal. We hope you loved this episode: How to Design and Makeover Kitchens! You can find us on our blogs or connect with each of us on Instagram. Suzannah is @suzannahstanley and I’m at @biggerthanthethreeofus. We’d love to hear your questions and thoughts! Join our Facebook group here and email us at yourhomestorypodcast@gmail.com.